The most successful EMS operations are those which combine the mass delivery and rigidity of automation with the intelligence and flexibility of those programming the machines. Not all perfect storms are a bad thing. In electronic manufacturing today there is a cluster of trends coalescing to offer us unprecedented levels of information and intelligence about fluctuations in every aspect of our increasingly complex business. At the very eye of this storm, however, lies the ability to act on all this available data and intelligence as quickly as it is being produced. Without this ability to quickly reach informed decisions, electronic manufacturers will not be riding the waves to optimal efficiency but instead, drowning under a deluge of data. And it is the use of data-driven dashboards that is the differentiator between sinking and swimming. John Greenough, senior research analyst at Business Insider (BI) Intelligence, estimates that the number of IoT devices used by manufacturers will have exceeded one billion by 2020, with annual investments scaling up to $70 billion. 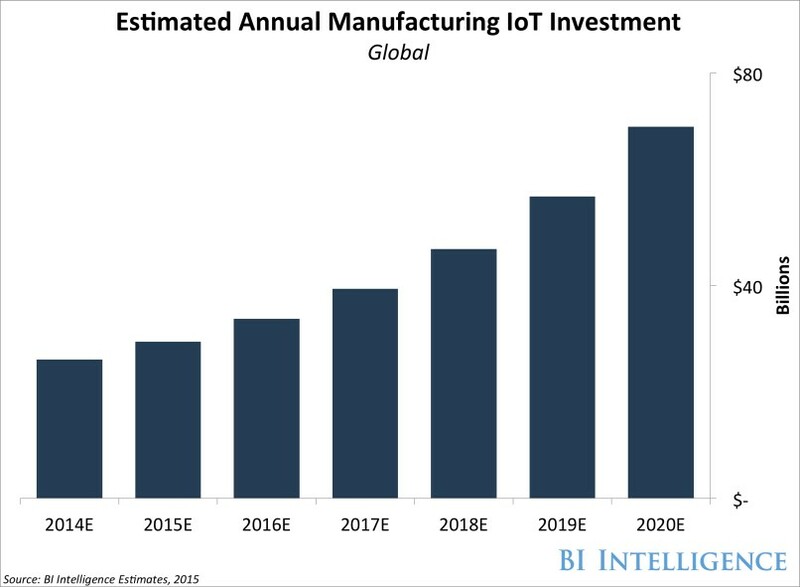 Manufacturers, more than any other sector, are leading the adoption of IoT. There are sound commercial reasons for this: according to a TATA Consultancy Survey, manufacturers have seen a higher return on investment from the IoT than any other industry. Chemigraphic have long used IoT solutions to track assets in our factories, consolidate our control rooms, monitor performance, reduce errors, optimise efficiencies and increase our analytics functionality through predictive maintenance. But as more data becomes available across our entire manufacturing operation, the key to realising further efficiencies and quality improvements lies in how – and how quickly – we act upon all this business intelligence. It is critical that this advanced intelligence is being viewed and acted upon in real-time: we must have an at-a-glance way to assess the sheer complexity of production and supply chain factors that affect our yields and reliability. To do this we need to have access to data that has been configured to address customers’ specific requirements. And we need to intuitively grasp high-level information about what is happening on the shop floor – and to be able to easily drilldown into each stage of the manufacturing process if required. At Chemigraphic, we know the difference such real-time data-driven dashboards make. Dashboards are displayed across our company, in every department from factory operations to sales, purchasing and procurement. A recent Aberdeen Group study into Manufacturing Operations Benchmarks confirms what we discover every day as we use real-time analysis to prevent problems, guarantee reliability and drive cost-efficient optimisations. ‘Chemigraphic relies on the strength and insight provided by the data network that runs throughout the company. Collecting, analysing and acting on data, whether it relates to customer purchases, productivity levels of staff or the efficiency of internal systems, is vital in measuring and improving our overall performance. We intend to stay right at the centre of this perfect storm.